please note we are currently EXPERIENCING issues with our online removal quote system. if you fill out this form your message may not get through to us. we are working on a this issue and this message will be removed once the problem has been fixed. Collection & delivery for all types of cast iron cookers. 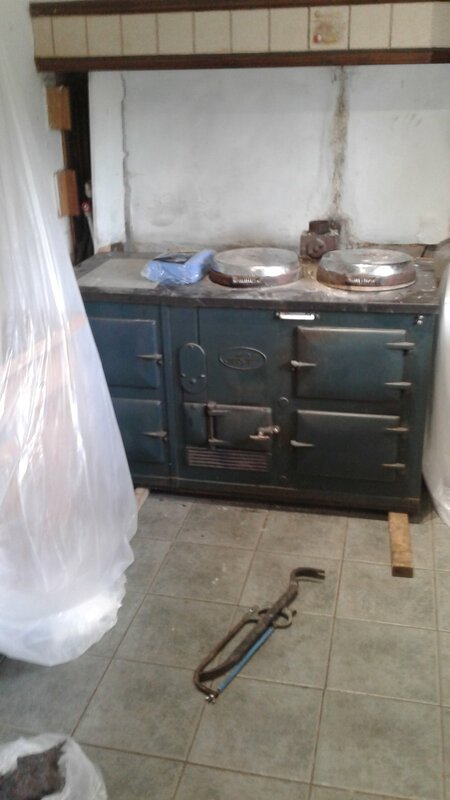 Our experienced team will remove the cooker from its current location and deliver it to you, placing it in your kitchen, ready to be installed by your plumber. Recycling service for old and end of life cookers. We remove old cookers and recycle all the various metals, reducing waste going to landfill. Used parts. We keep a good stock of quality used parts for older cookers. We remove all old Aga cookers. This 4 oven required a full dismantle. Most standard 2 oven models are removed without dismantling. This is an old Alpha cooker, one of the heaviest cookers ever made at around 800 kgs, we remove these complete. An old Wellstood cooker, not many of these left now.